Not everything is perfect, so if you’re not completely happy with your purchase, you have 14 working days from the date of receiving your order, to pop it back to us for an exchange or refund. We kindly ask that you make sure all products are returned in their original condition, with their originally packaging and labels. Returns that are damaged or soiled may not be accepted and may be sent back to the customer. All shoes should be tried on a carpeted surface before wear. 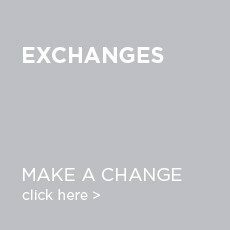 Gifts purchased IN STORE from the 17th November 2018 can be returned by the 2nd January 2019 for an exchange or credit note. 3. 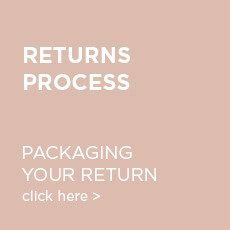 Complete the returns form included with your order, stating the items and reason for return. Alternatively, please state the details of anything you’d like to exchange. 5. We’re pretty speedy, so will typically turn around your refund/exchange within a few days. You’ll get an email to confirm once this has been processed. 6. All refunds are returned to the original payment method within 30 days. Refunds vary depending on your bank but typically take up to 5 working days to show in your account. 7. the-dressingroom.com is not responsible for returns costs. We love being able to offer Free 2-3 UK delivery, but returns are the responsibility of the customer..... This is why we have created a quick and simple way for you to return your item if you need too! 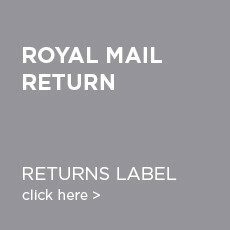 Returning made easy with a flat fee of £4, which will be deducted from your refund when using our Tracked 48 Royal Mail Return Label included in your order. 4. 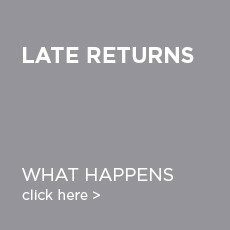 Once we have received your return we will process your refund, deducting the £4 return delivery charge. As a quick and easy way to return your item, why not visit us in store and drop off your items. 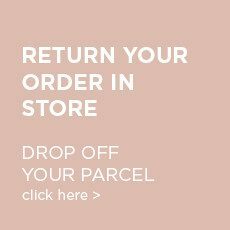 We will give you a proof of receipt and your order will be passed on to the website team to be processed for a refund, or alternatively have a browse in store to exchange your item. 1. Package up your items as stated in the 'Returns Process' and make sure you have filled out your returns form inside. 3. Take the time to browse in store to see if there is something you would like to exchange it for - our friendly team are always here to help! 3. Alternatively if you wish for a refund then this will be processed separately by the website team, using your original payment method. Make returns easy with Collect +, simply click on link and fill out the details. 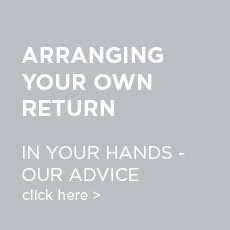 As returns are the customers responsibility we advise to select the option with 'tracking and signature on delivery' so you can monitor the return and ensure it has arrived safely. *Any claims for lost parcels are the reposnsibility of the customer, therefore please select the correct options. On the rare occasion there is a problem with an item, please do not worry, we are here to help! Items are classified as faulty if they are received damaged, or where a manufacturing fault occurs within six months of purchase. Please note that items that are damaged as a result of wear and tear are not considered to be faulty. Please send photos of the fault via email to Natalie at info@the-dressingroom.com stating the problem and your online order details. If the item was purchased in store then please bring your receipt with you. You have 14 working days from when you receive your parcel to return your items back to us, using the various methods stated. If the goods are returned outside of this time frame then it will not be accepted, and will be returned back to the customer.